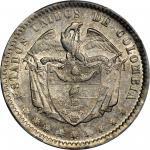 COLOMBIA. 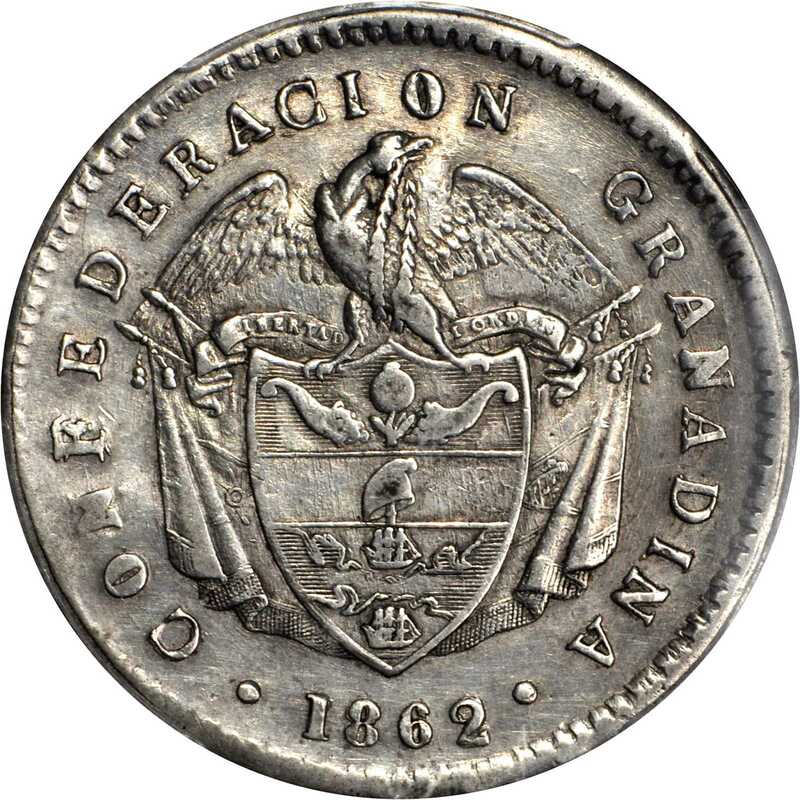 1861 Peso. 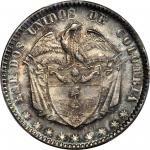 Popayán mint. Restrepo 227.1. 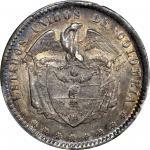 AU-50 (PCGS).One of the signal rarities of the Granadine Confederation. 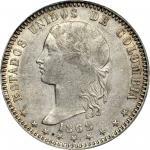 Unlisted in KM, the coin was reported in the 1973 Almanzar-Seppa reference as "one specimen of the above coin has been reported, but is not listed in any references known to the authors; however, the authors have seen an impression of the coin." 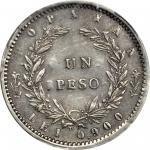 This is the only Peso type struck in Popay&aacute;n during the short-lived Granadine Confederation, struck from an altered Republic of Nueva Granada obverse and a reverse that still plainly shows DIEZ REALES beneath the denomination UN PESO at center. The surfaces are pleasing light silver gray with a good deal of residual luster. 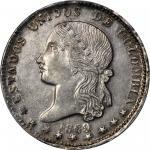 Minor old hairlines do nothing to limit the very nice eye appeal for the grade. 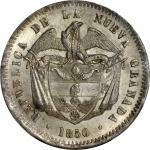 For collectors of world crown rarities, this piece is as important as any: a distinctive and historic type of the ultimate rarity. 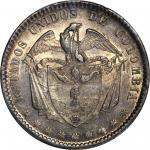 For Colombian specialists, this is the King of the Pesos, an unsurpassable prize for an advanced collection.